Field of View: 31' x 30'24"
Pluto, the outermost planet is located in both of the images above. Because it is so small and distant, Pluto is difficult to distinguish from faint background stars. The rich stellar field forming the background for Pluto in the above images is in the constellation Ophiuchus. Can you find Pluto? You might be able to detect it by looking for an object that has moved slightly compared to the background stars. 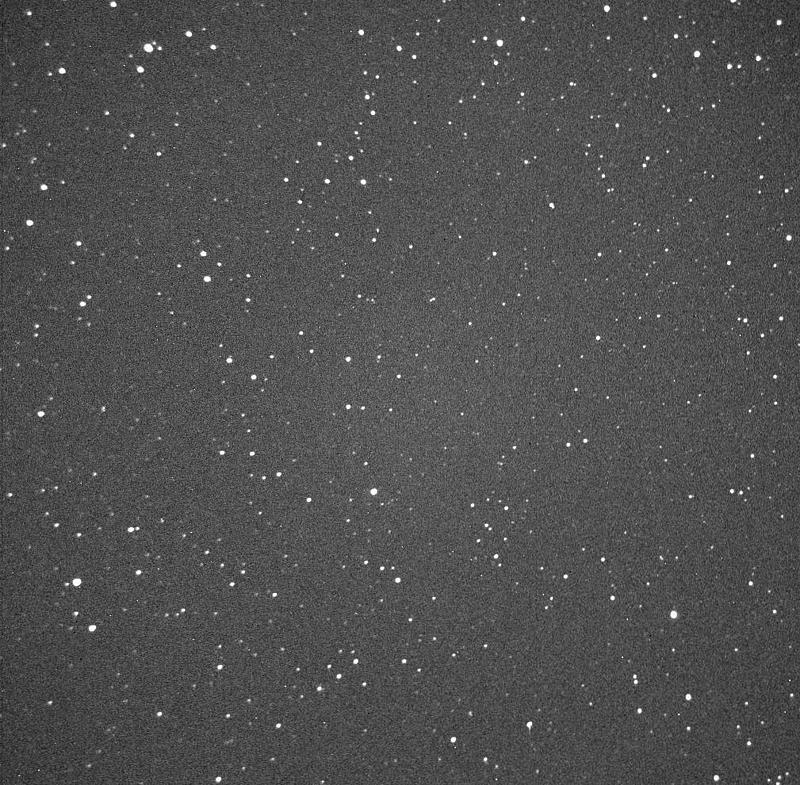 Hint: Pluto is located down and to the left in the image from July 24, 2003 compared to the image taken on July 23, 2003. Astronomers use a technique called blinking to find objects that move from one image to the next. Click to blink the above images to help you find Pluto. 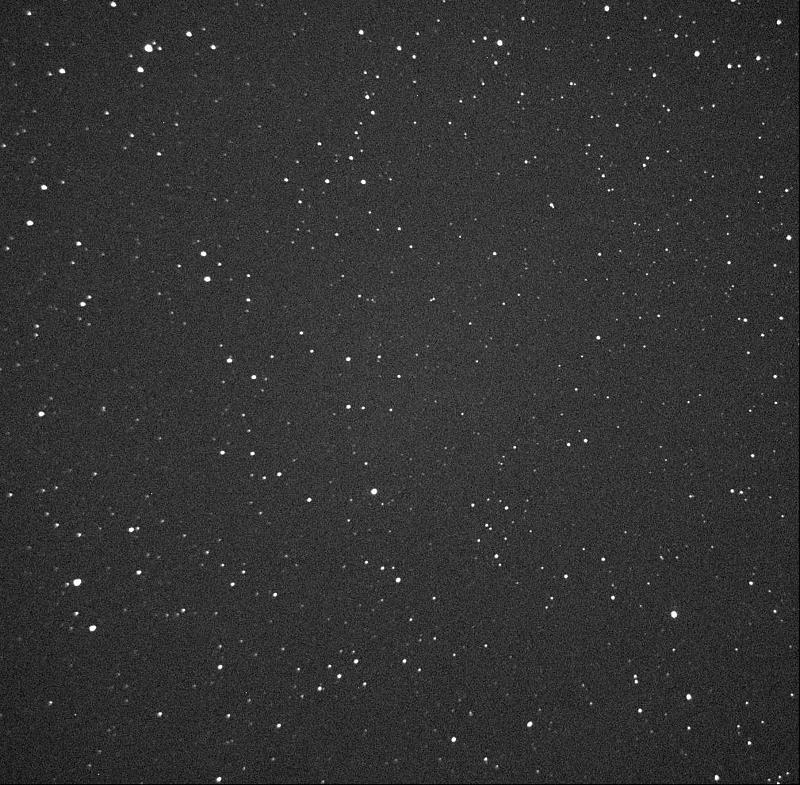 Image Information: Both images were taken at 21:55 on their respective nights are were created from summing together a single 10 second images.